Take a good hard look at the charts above. 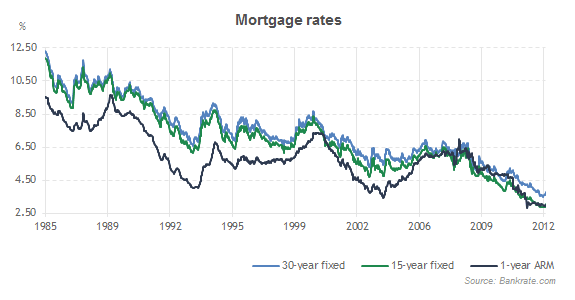 While mortgage and CD rates were over 10% in the mid 1980’s, mortgage rates have dropped to between 3 and 4 % starting in the 2010’s and the bank interest rates have fallen to around 0.1%. The problem with the current investment environment today is that there really is no where to get a great return except for higher risk assets. Stocks and bonds both carry risks, and have been heavily pumped up due to the lack of alternatives such as existed in the past. Central banks have been pushing people with assets to invest in the stock market for quite some time now, as such investments ostensibly drive economic growth and also people’s retirement accounts. Retirement accounts in the US are not the same as they were in the past – in 1980 the 401k accounts were started by private companies take take advantage of section 135(a) of the Revenue Act of 1978. This became a trend among companies across the US and is now the standard. Companies would much rather have individuals put money into their 401k than be obligated to support them after retirement. The 401k is a type of defined contribution plan rather than a defined benefit plan. Federal law does not require employers to offer or to continue to offer a plan, but most white collar jobs do come with this benefit. In short, money that goes into the normal 401k plan is not taxed up front but instead when removed from the account. Money that goes into the Roth 401k is already taxed but doesn’t get taxed when removed. Entire industries are supported on fees and administration costs related to people’s 401k accounts – if you haven’t yet, you should check out how much money you are charged for keeping money invested in each mutual fund, bond, ETF, etc. you are holding. Deciding to put your 401k money in fixed income will yield you close to nothing, but having money invested in international funds generally is more risky. Unfortunately for the saver of today, the best investments tend to be stocks or real estate. 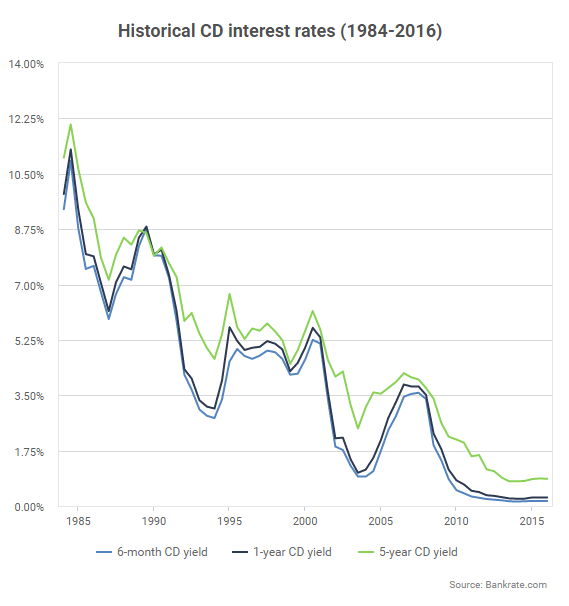 Gone are the days of investing in bank CDs, at least in the US. 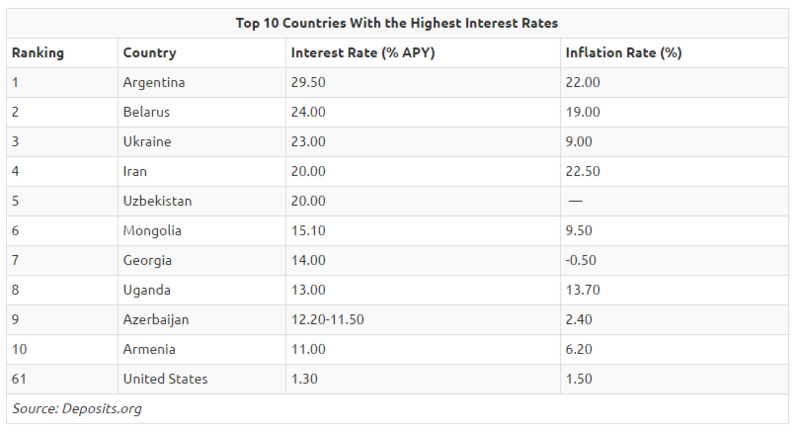 If you’re looking overseas many countries still have double digit interest rates you can get on savings, but those countries tend to have higher inflation too. Keep in mind holding a foreign bank account you will need to report your assets with the IRS using the FBAR form. Posted in Uncategorized and tagged 401k, bank CD, interest rates.